Harriet Tubman, herself a fugitive slave, risked her life several times on secret trips to Maryland in the 1850s to spirit slaves north to Niagara Falls, NY, and on to freedom in St. Catharines. Few American men or women can claim a life as heroic as Tubman’s. Born a slave in Maryland, badly injured as a child when a slavemaster struck her in the head with a metal weight, at age 27 she made her escape to Philadelphia. That alone took courage enough, but she promptly turned around and snuck back into Maryland to bring out members of her family. The year was 1849. One year later, a Buffalonian was president: Millard Fillmore. Seeking to head off the bloodshed of a civil war, Fillmore engineered a compromise meant to satisfy both North and South. Part of that compromise was his signing of the Fugitive Slave Act of 1850 – a law that made it a crime for any American to aid an escaped slave, or to impede the return of a slaveholder’s “property.” It outraged northerners, especially those who for years had helped fugitive slaves along the informal Underground Railroad that led to places like Buffalo, Niagara Falls, Lewiston, Fredonia, Rochester, and Syracuse. The new law made Tubman’s already difficult mission even harder. Now she had to get the slaves she snuck out of Maryland all the way to Canada. It was dangerous work. She carried a gun, wore disguises, and worked out a series of codes to avoid detection. Though Tubman was only five feet tall and illiterate, she was smart, brave, and tough. Joe sat still, with his head upon his hand. “Joe, come look at de Falls! Joe, you fool you, come see de Falls! It’s your last chance.” But Joe sat still and never raised his head. At length Harriet knew by the rise in the center of the bridge, and the descent on the other side, that they had crossed “the line.” She sprang across to Joe’s seat, shook him with all her might, and shouted, “Joe, you’ve shook de lion’s paw!” Joe did not know what she meant. “Joe, you’re free!,” shouted Harriet. “Joe, come and look at the falls!” called Harriet. ...was all the answer. The cars stopped on the other side. Joe’s feet were the first to touch British soil, after those of the conductor. Loud roared the waters of Niagara, but louder still ascended the anthem of praise from the overflowing heart of the freeman. Tubman conducted those now free black men and women to St. Catharines, which for decades had given shelter to escaped slaves from the U.S. (including some of her brothers and their families, whom she’d guided to safety). Her St. Catharines headquarters was Salem Chapel on Geneva and North Streets; it was there that she met John Brown before his violent raid on Harper’s Ferry. In all, Tubman made an estimated 13 secret trips to Maryland and personally led 60 to 70 slaves to freedom, but her adventures were far from over. When the Civil War broke out, she served the Union Army as a nurse, as a scout and, on one occasion, led troops on an amphibious assault to burn plantations in South Carolina. After the war, she settled in the small, prosperous Finger Lakes city of Auburn, where she was a friend and confidante of William H. Seward, the Secretary of State under Presidents Abraham Lincoln and Andrew Johnson. Despite her achievements and the abolition of slavery, Tubman suffered the indignities common to black life in America – she was once roughed up on a train to New York for refusing a conductor’s order to give up her seat, and she was denied a pension for her Civil War service until 1899. But she continued to speak out for civil rights, and later, for women’s suffrage and women’s rights. 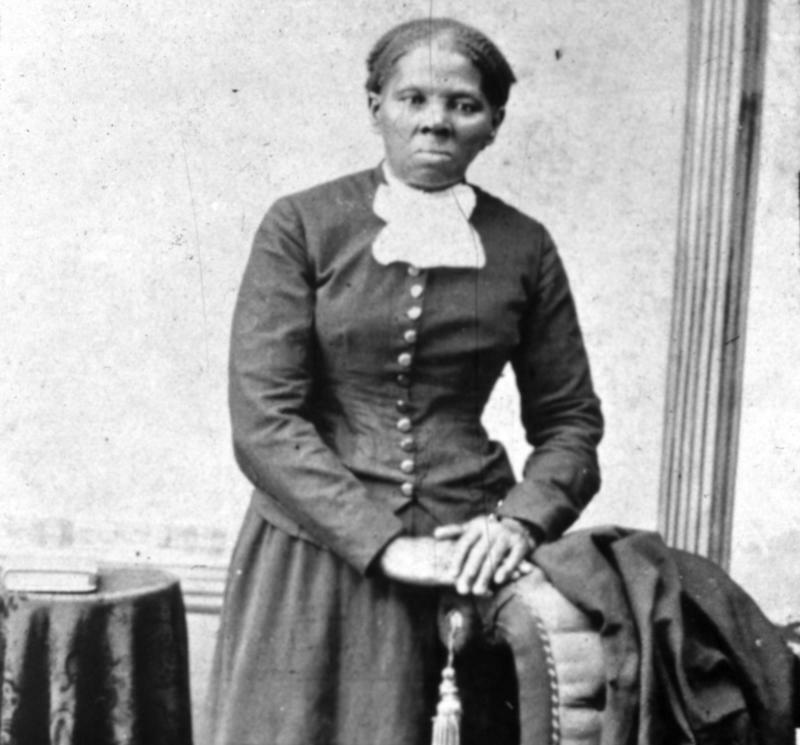 Unlike many black heroes of the Civil War era, Tubman remained famous throughout her long life. She finally died in 1913, near her 91st birthday, and was buried with military honors in Auburn. So no, it was no surprise when the Treasury Department announced last April that Tubman’s portrait would start appearing on the $20 bill in 2020, making her the first woman — and the first person of color — to be so honored. A new generation will be reminded of her exploits every time they look in their wallets. Indeed, Harriet Tubman has already become part of everyday discourse. Soon after the Treasury Department made its announcement, President Obama was doing shtick at the annual comedy show that is the White House Correspondents Dinner. In a few years, Americans will be using that phrase a lot. * Scenes in the Life of Harriet Tubman, by Sarah H. Bradford, Auburn, N.Y., 1869.